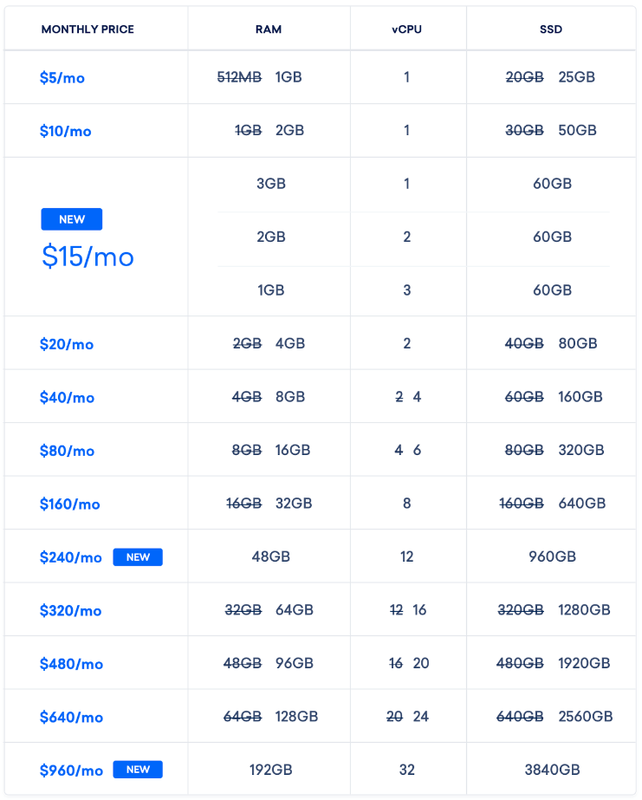 This entry was posted in Computer, Hardware, Murmuring, Network, Service and tagged digitalocean, hardware, memory, pricing, vps on January 17, 2018 by Gea-Suan Lin. This entry was posted in Computer, Murmuring, Network and tagged 3gb, digitalocean, hosting, memory, ram, vps on November 24, 2017 by Gea-Suan Lin. These Droplets are available through the Control Panel and the API starting today as capacity allows in SFO2, NYC1, NYC3, TOR1, BLR1, and AMS3. They will be available in FRA1 and LON1 by the end of August. This entry was posted in Computer, Hardware, Murmuring, Network, Service and tagged cpu, digitalocean, droplet, high, hosting, performance, speed, vps on July 12, 2017 by Gea-Suan Lin. This entry was posted in Blog, Computer, Murmuring, Network and tagged blog, digitalocean, hosting, linode, vps, vultr on September 12, 2016 by Gea-Suan Lin.